Happy Saturday! It’s been pretty chilly here in San Antonio lately and working out is the only thing that keeps me warm! 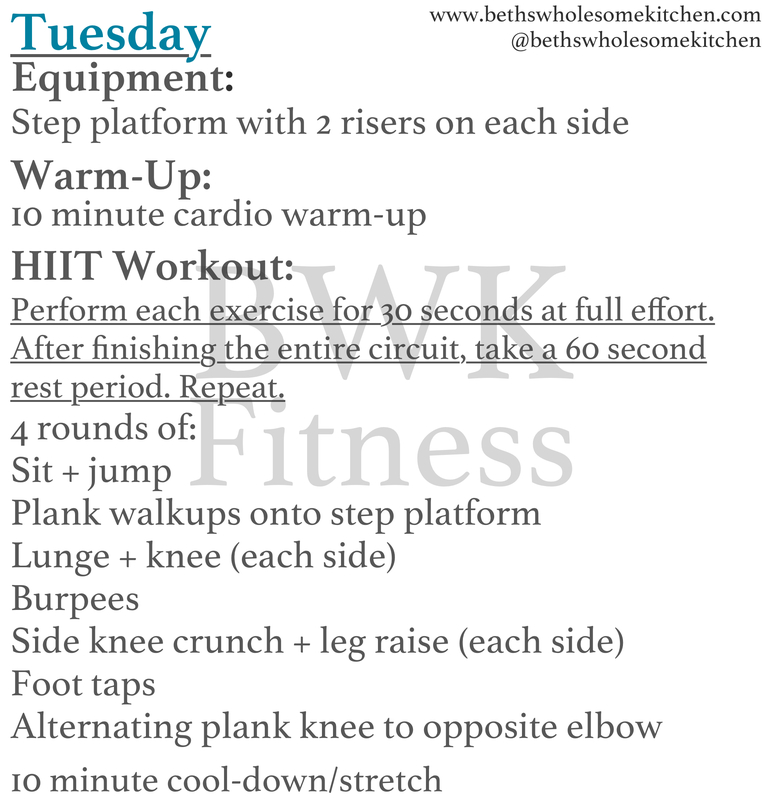 This week, I decided to create a HIIT workout because my body was craving the intensity! HIIT stands for High Intensity Interval Training. If you don’t know what it is, it is basically a workout that incorporates short bursts of maximal or almost maximal effort alternated with rest periods. The short bursts could last anywhere from 10 or 20 seconds to 90 seconds. You always want to make sure that you keep it short to really max out the intensity. Let’s say you decide to do 30 seconds of work, then you would make sure to rest for 30 seconds or 60 seconds. You can follow a 1:1 work to rest ratio or a 1:2 work to rest ratio. It just all depends on your physical fitness level! There are honestly so many ways you can perform a HIIT workout. For the one this week, I decided to do each exercise for 30 seconds then, at the end of the circuit, I’d rest for 60 seconds and repeat. I hadn’t done one in such a long time and I’ve seriously been missing out because it really gets your cardiovascular system and lactic acid in your muscles going! I also want to clarify something about the single leg extension, single lying leg curl, and single leg press. To perform those exercises, I use the normal machines. All I do is keep one leg free and have the other leg do all the work! I like unilateral exercises because it really allows you to build an equal amount of strength and muscle on each side. Sometimes people are stronger on one leg than the other and, when doing the movement with both legs, it’s possible to favor one leg over the other. I hope you all enjoy these workouts! 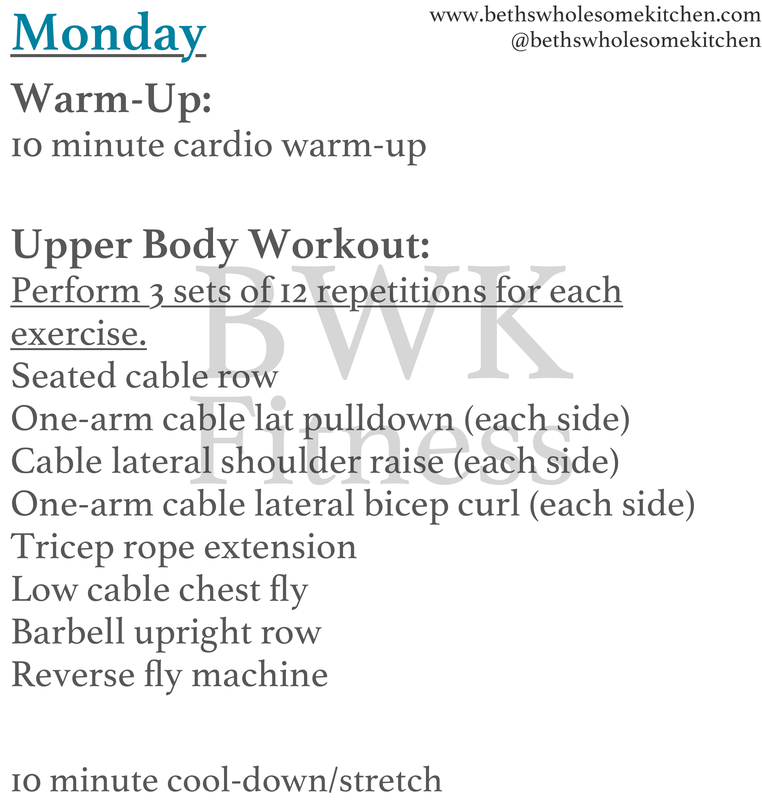 If you do complete any of these workouts, be sure to tag me on IG and use the hashtag #bwkfitness!